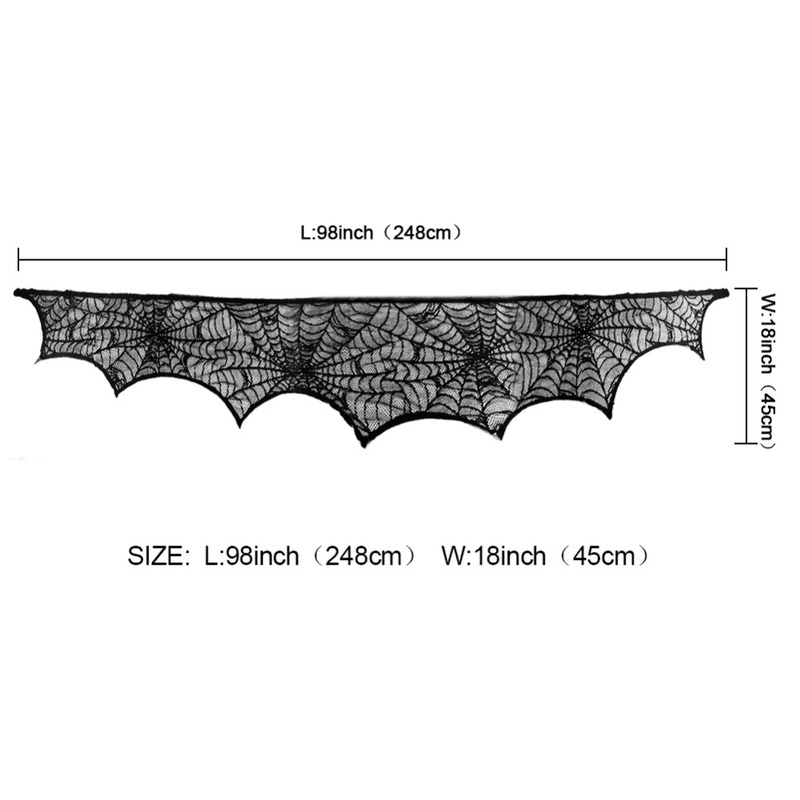 Creating the perfect ambience for your Halloween or other special occasion with elegant spooky black lace decoration accessories. Elegant spooky additions for haunted house, mansion and castle scenery or party decoration. We guarantee that the components of these items are all in excellent condition. 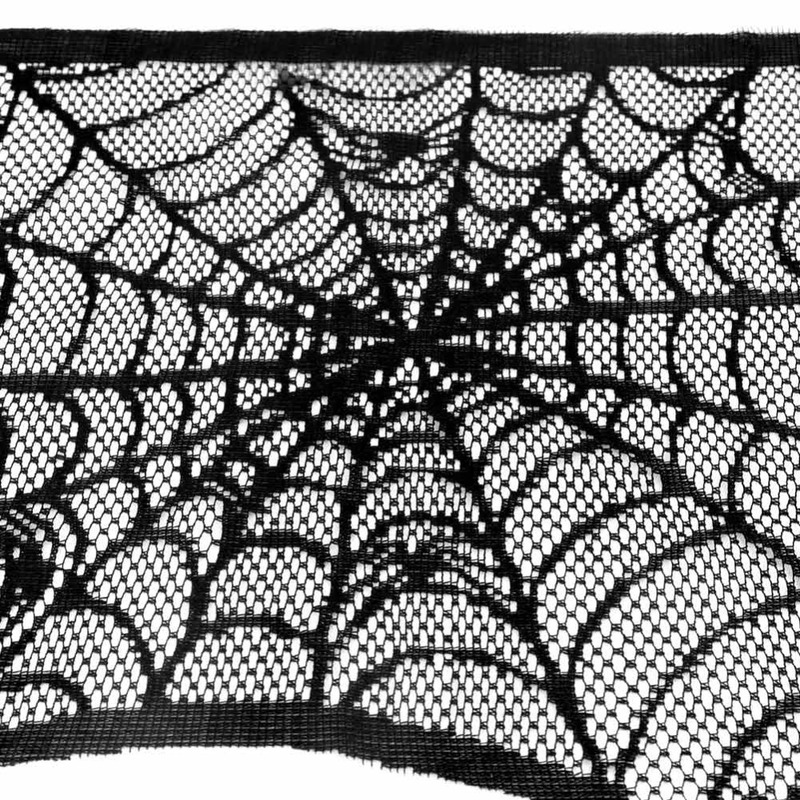 Black lace fireplace mantle scarf features spider web design. Display on mantle, over interior doorway, hutch, buffet or as a backdrop. Fun spooky Halloween decoration and party accessory for year round use. 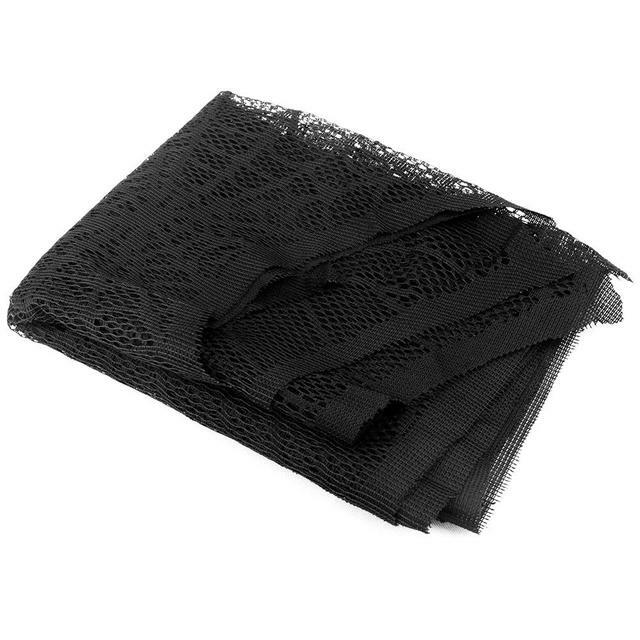 This item is monolayer, no lining. Due to manual measurement, please allow about 1-2cm measurement error (1cm=0.39inch). The pictures are of the actual item, but due to lighting and different computer display settings, there may be a slight colour difference. Quality of the product is ok. You get what you have paid for. Seems to be just as was described and came relatively soon. Thank you for the service!